If you are looking of the best soulmate quotes to share with your loved one, this is the right place for you. Finding your true soul mate is one of the richest rewards in anyone’s life. It is someone who understands you better than anyone else and stands by you through the thick and thin. There is so much to such a personal relationship that cannot be found elsewhere. Here are some of the best insights to share with each other through cards or social media networks. Let the person you’re closest to know how you feel for him or her. Make that person feel special. 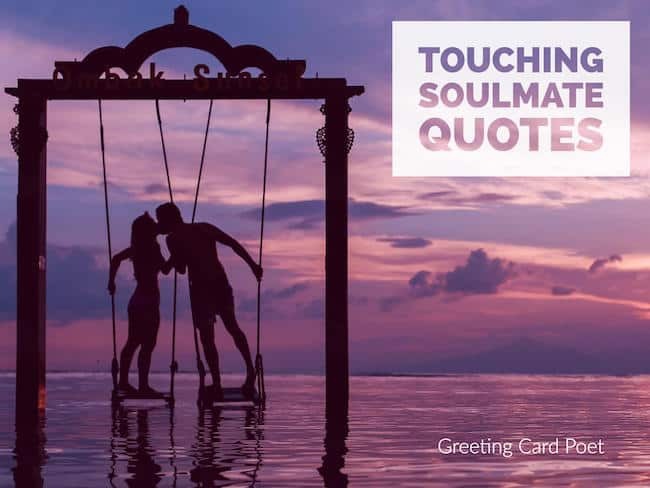 Celebrate your relationship or you can also send cards with these quotations to friends and loved ones on their special day. People think a soul mate is your perfect fit, and that’s what everyone wants. But a true soulmate is a mirror, the person who shows you everything that is holding you back, the person who brings you to your own attention so you can change your life. A soulmate is the one person whose love is powerful enough to motivate you to meet your soul, to do the emotional work of self-discovery, of awakening. 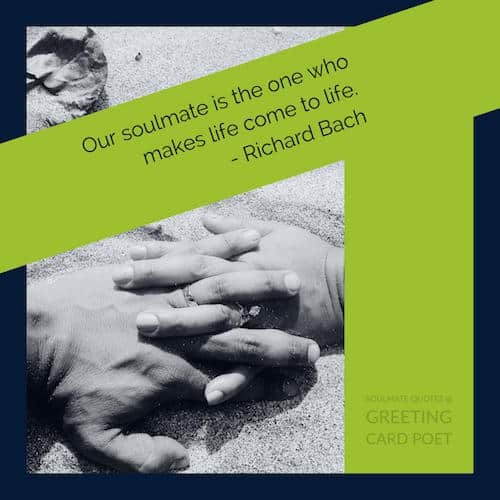 We meet our soulmates when we’re on our soul path. A bond between souls is ancient – older than the planet. True love is finding your soulmate in your best friend. In all the world, there is no heart for me like yours. In all the world, there is no love for you like mine. It was not into my ear you whispered, but into my heart. It was not my lips you kissed, but my soul. What greater thing is there for two human souls than to feel that they are joined for life … to strengthen each other … to be at one with each other in silent unspeakable memories. We recognize a soulmate by the supreme level of comfort and security we feel with that person. Rather than being about excitement and lust, a soul mate relationship is characterized by such things as a shared life path, a sense of comfort and ease, and a genuine liking of each other. The soulmate is what we aspire to and like to understand about ourself, is what we deem to be perfection, purity, and endless love. Immature love says, I love you because I need you. Mature love says, I need you because I love you. My heart is and always will be yours. I love you not only for what you are, but for what I am when I am with you. I love you not only for what you have made of yourself, but for what you are making of me – I love you for the part of me that you bring out. You are the one girl that made me risk everything for a future worth having. I love you without knowing how, or when, or from where. I love you simply, without problems or pride. I want to be your kindred spirit, even if I don’t believe in them. The minute I heard my first love story I started looking for you, not knowing how blind I was. Lovers don’t finally meet somewhere. They’re in each other all along. No measure of time with you will be long enough, but we’ll start with forever. You know you are in love when you see the world in her eyes, and her eyes everywhere in the world. Thou art to me a delicious torment. You make me happier than I ever thought I could be. If you let me, I will spend the rest of my life trying to make you feel the same way. You are the finest, loveliest, tenderest, and most beautiful person I have ever known—and even that is an understatement. My love for you is past the mind, beyond my heart, and into my soul. Your love shines in my heart as sun that shines upon the earth. If I had to choose between breathing and loving you I would use my last breath to tell you I love you. To be your friend was all I ever wanted; to be your lover was all I ever dreamed. My love for you has no depth, its boundaries are ever-expanding. You’re always the first and the last thing on this heart of mine. No matter where I go, or what I do, I’m thinking of you. In short I will part with anything for you, but you. You are my heart, my life, my entire existence. Love is when he gives you a piece of your soul, that you never knew was missing. The best love is the kind that awakens the soul; that makes us reach for more, that plants the fire in our hearts and brings peace to our minds. You do not find love. It finds you. If you wish to be loved, show more of your faults than your virtues. No matter how far you go, I will keep loving you because you are the best thing that has ever happened to me. I really love you! To live with you is to live. To live without you is to die. When I love, I do it without counting. I give myself entirely. And each time, it is the grand love of my life. From the day you walked into my life, you’re all I think about. You’re the reason I breathe. You are the stars in my sky. I wouldn’t want this any other way. You’re the love of my life. I don’t want you to be just somebody I love. I want you to be the love of my life!